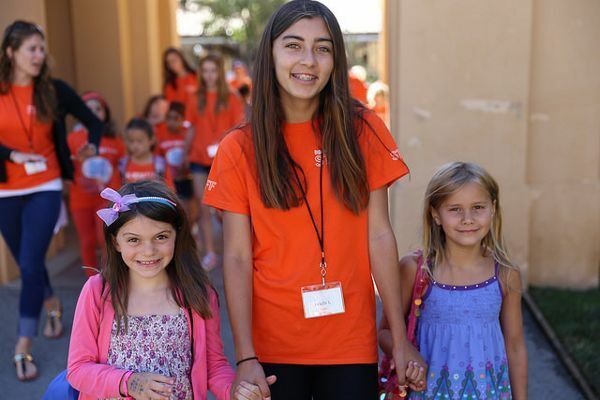 Founded at Stanford University, Digital Media Academy is ranked as one of the ten best summer camps in the world. 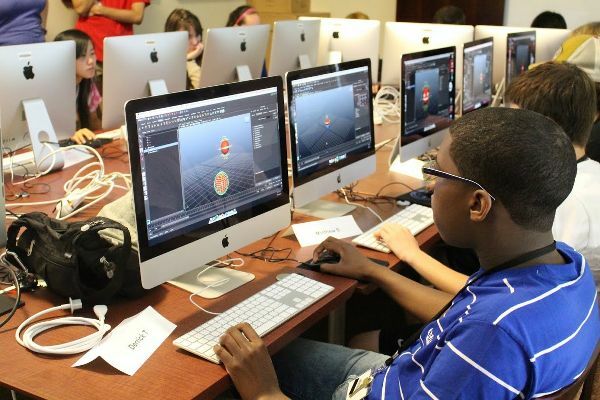 Digital Media Academy tech summer camps are filling up faster than ever! 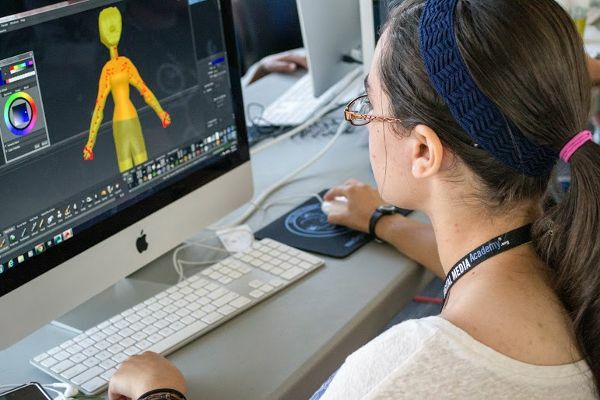 Don’t miss out on the summer experience of a lifetime – SAVE $100 with code CR8TECH16 at www.DigitalMediaAcademy.org when you register by April 30, 2016. Kids and teens learn computer programming, app development, 3D modeling, robotics, graphic design, filmmaking, and much more. DMA summer camps are one or multiple week experiences taught by industry experts and tech professionals. 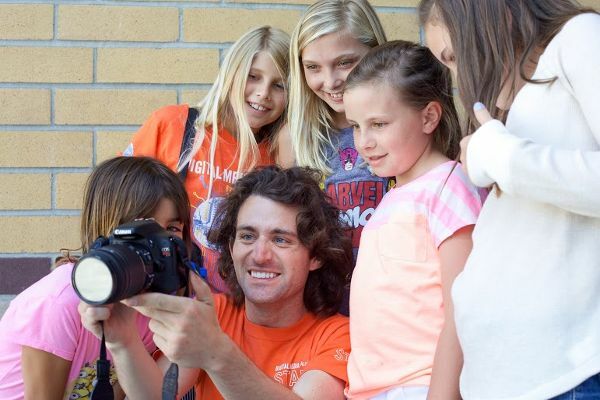 Campers get hands-on experience creating projects using the latest hardware and software from Apple, Canon, Adobe, and more. DMA 3D modeling and animation student working. DMA Adventures in photography graphic design! Give your teen a pre-collegiate experience or build a child’s confidence through project-based learning. Learn at some of the most prestigous colleges and universities throughout the U.S. and Canada. DMA Film makers work together! 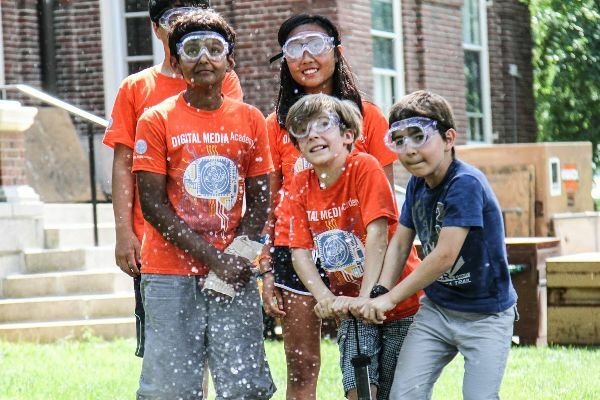 Save $75 off summer camps at Digital Media Academy with code TECHSUMMER at www.DigitalMediaAcademy.org. Sign up for multiple weeks and save big! Campers save $125 for each additional course they register for. Register by June 30th to #CreateTheNext best-selling app this summer! 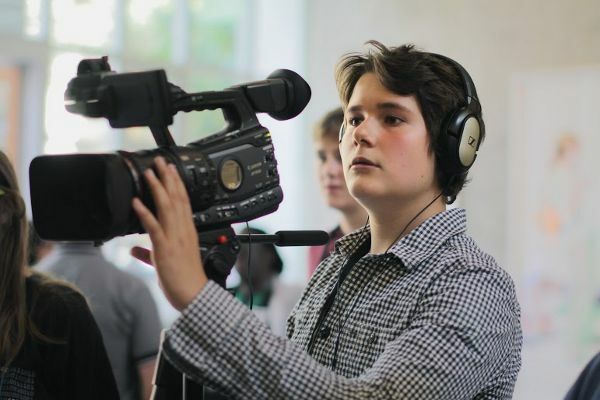 DMA Video Production students make directorial debut! Students learn in and out of the classroom! Students use personal work stations! We live in a very rural part of Upstate New York, and there’s really no decent restaurants in our immediate area. On the weekends, we drive to the city (45 minute drive) to do our weekly grocery shopping and grab a dinner. On our way, we pass by this Eddie O’Brien’s restaurant in Farmington, NY. I remember many years ago when this place was a popular bar. Then it was empty for a while, and a few years ago, Eddie O’Brien’s moved in here. But, we’ve never been here to eat! I’m a member of the Restaurant.com Review Crew, and I use my Restaurant.com app all the time to find new places to dine at, and also save some money on our meal. Just this past week, I noticed that Eddie O’Brien’s has been added to their list! Since we drive by there at least twice a week, we decided to try their dinner there on Saturday. We knew it was a sports bar & grill. From the outside, we always assumed it was very dark inside. But when we got inside, we were very surprised at how nice and spacious, and bright it was inside. I love their booths. Their booths are very roomy, and I really like how they have tall seats, so you have privacy from the other booths. When you walk in, they have a board with specials on it, and one of them was the chicken, bacon and ranch quesadilla. That sparked Chris’s interest immediately. After waiting a few minutes, we were seated, and a server quickly came over to grab our drink orders. When we ordered our entrees, Chris ordered the chicken bacon quesadilla. When it arrived, he was very pleasantly surprised first at the size, and then at the taste. There were actually big chunks of chicken breast in it, and the quesadilla was flaky and crispy, and he said it was absolutely delicious. In his words, it was “way better than Chili’s, no question”. And this from a man who knows his quesadillas. I ordered the Bourbon Steak. It arrived in a shallow bowl with a bourbon sauce and lots of mushrooms. It was heavenly! I was surprised at all of the sauce it was in, and we joked how it could have been called steak soup, but seriously, it was absolutely delicious. It was cooked perfectly, it was tender, and so flavorful. I will definitely be back for this meal again! With my meal also came fries and veggies. I’m not a big fan of fries, but Chris is and he ate my fries and said they were delicious as well. If it wasn’t for Restaurant.com, who knows how long it would have taken us to eat here. We’ve driven by this restaurant so many times over the years, but always passed it by. And not only do we have a new restaurant to enjoy dining at, we can also save money on our bill with Restaurant.com! I purchased two certificates for this restaurant – one was for $15 off a $30 purchase, and the other was for $25 off a $50 purchase. Either way, you can save 50% off your order with Restaurant.com! Score! Be sure to download the free app for Restaurant.com, so you can always save money on a restaurant when you are out! There are over 20,000 restaurants listed nation wide! Disclaimer: I am a member of the Restaurant.com Review Crew. I do receive a compensation for my reviews, but all comments, opinions and photos are my own. More Restaurant.com reviews that we loved! We are big fans of saving money, and we also love dining out! Thankfully for us, we can use Restaurant.com to save money on dining out at some of our favorite restaurants. And in lots of cases, we get to try new restaurants we wouldn’t have heard of otherwise. We’ve eaten at this newer Mexican restaurant only a few times. We’ve had a mixture of really good to just mediocre experiences. Friday night after Chris got out of work, we were going to get pizza at one of our favorite places, but we were both kind of hungry for Mexican food. So, I purchased a certificate through my Restaurant.com app and we headed out that way. When we got there, there were no other customers. For some reason, it’s always empty when we go there. We were quickly seated, and the server took our drink orders and brought out some complimentary chips & salsa. I will say, their chips & salsa are delicious. Some of the best we’ve ever had. We don’t like the chunkier, pico de gallo that some restaurants serve with chips, we prefer a true salsa. And their chips are hand made (at least we seem to think so) and they are always nice and warm. They don’t give you a lot of chips, so while we were still waiting for our meals, Chris asked the server for a refill of the chips. He came over and said “just so you know, we don’t do free refills on the chips”. We just looked at each other. I told him that we’ve always gotten free refills in the past, and he said “no, we never have given free refills”. Chris said that’s ok, we want a refill anyways, we’ll pay for an extra refill. So he brought us out another little basket of chips. For our entrees, Chris ordered the Burrito San Jose. He ordered this last time and said it was delicious. This time, it looked different, and he said it tasted very different. The last time, the pork was shredded, and this time it was cubed. Which, some wouldn’t think that makes a difference, but I do think the way it’s prepared changes the consistency and taste of the food. It also had a lot of extra “stuff” on it that he didn’t care for. He said he wouldn’t get it again. He also didn’t care for the rice and beans. He said they were very bland and kept adding salt to them. He ended up leaving most of it. But my entree is where this meal took a drastic turn. I have always gotten the beef & mushroom fajitas, and they were always really good. I did order my fajita with no onion, and this is how it came out. I wasn’t going to say anything – because it’s really not that big of a deal. I can easily eat around the onions. But Chris did tell the server that I ordered it with no onions. The server’s response was “well we have to cook it on a bed of onions so we don’t burn the rest of the food”. I was like, mmmmkay. Like I said, I could deal with the onions, but that was just a very weird excuse. As I started eating my fajitas, I noticed something stuck to a piece of beef. It was a HAIR. A black, curly, hair. And it was cooked into a piece of beef. I showed Chris and he couldn’t believe it. I placed it on a napkin, and Chris called the server over. I had my phone camera on and was getting ready to snap a picture of the hair (what do you expect.. I’m a blogger!) but as soon as I showed the server the hair, he quickly snapped up the napkin and my plate and said they will make me a new plate. Not even 2 minutes later, I received a new plate. Now mind you, by this time there was only one other table with customers, and my dinner which originally took them 20-30 minutes, suddenly came out in 2 minutes. I had zero faith that this was a newly cooked entree, and I truly believe they just moved it to a new plate and handed it to me. My tortillas were wrapped in aluminum foil, and I literally wrapped up my entire dinner in the aluminum foil and fed it to our dogs when we got home! When the server brought over our bill, they did not deduct anything from our bill. To be honest, I didn’t expect them to, either. I opened up my Restaurant.com app and showed him my certificate. He took my phone out of my hand and went back to the kitchen with my phone. Which, I thought was odd. I thought he was just going to write down the certificate number like most places do. I didn’t expect him to just walk off with my phone. He came back a few minutes later and said he pressed something on my phone and the certificate went away and he needed me to bring it back up again. It took me a few minutes to figure out how to do that, but I finally was able to bring up the certificate again. He asked me something about the certificate in his broken English, and I told him I was doing a restaurant review for Restaurant.com. That’s when his eyes got really big. And he said “ohh, and this all had to happen to you tonight, didn’t it.” I said “yes, unfortunately”. He continued to write down the code and walked away. He brought back the corrected bill which took our $10 Restaurant.com certificate off. We paid and left. Unfortunately, we were both hungry when we left and stopped at the store for snacks on our way home. We have definitely written Agave Express off of our list of restaurants we will ever visit again. And even though we had a bad experience here, this is not the fault of Restaurant.com in any way. Almost all of the restaurants we’ve visited through Restaurant.com has been a great experience, and some of the restaurants we’ve even become regulars at! If you like to dine out and save money, you need to check out Restaurant.com! I even have their app on my phone so we can find places to eat no matter where we are! I’m a big fan of Restaurant.com! I use their website and mobile app whenever we are out and looking for a great deal on a meal! They have some amazingly great deals – and today and tomorrow they are offering $25 Certificates for only $3 with Promo Code: SALE. All their other deals are on sale too! For example, grab a $10 Certificate for just $1.20. Finding a deal has never been easier! Search Restaurant.com by location, cuisine, price range and more, to find exactly what you want, where you want it! Hurry! This $3 sale won’t last. Visit Restaurant.com today for amazing deals on delicious meals. This offer ends Thursday, March 31 at 11:59 pm CT. I genuinely like most of the products I get to review. Every now and then though, I get to a review a product that I absolutely LOVE. This is one of them. I was SO excited to get this Belloccio Airbrush Makeup System! I was literally spraying on my makeup within 5 minutes after the UPS guy left this bad boy on my front porch. Directions? Who needs’em. I had already watched a few YouTube videos on how to apply airbrush makeup. And let’s face it – I’m in my 40’s – I could apply makeup in my sleep. So, I gave it a whirl with no directions. And other than choosing the completely wrong color for my foundation, I think I did pretty good. I chose a color that was way too light for my face, and I looked like a porcelain mannequin. Not a good look. So, I washed it off, and tried again. This time I used the Buff color foundation, and I have to say that’s the best color for my skin tone. And I was SO impressed with how easy it was to use. I even applied my blush with the airbrush and it came out perfectly! I did end up watching the instructional DVD that came with my kit, and learned how to properly wash the airbrush machine. I ordered the kit for FAIR skin tones, so you need to purchase the kit that matches your skin tone the best. If you are in-between two shades, it’s super easy to mix the two together right with the airbrush machine to get the shade that fits you best. Just place a couple drops of both colors that you are between, place your finger over the sprayer part and pull the trigger back on the stylus. You will hear & see it bubble, which mixes the two colors! Then you are good to go! Please watch my video below to see my full review & tutorial. I will also show you how easy it is to apply the airbrushed makeup to your face, and how easy it is to clean your airbrush machine when you are done. Here are the 4 different color systems they carry. Get the one closest to your skin tone! The reason I put off purchasing an airbrush makeup system is because I’m not one to typically splurge on luxury items like this for myself. And, I know these systems can be very pricey. But this one is rather affordable! Right now you can purchase this kit on Amazon for just $99.96 with free Prime shipping! (This product retails for $300!) They offer a 1-year guarantee, and if you are not happy with their product, return it for a full refund. What are you waiting for? I’m pretty sure you will love it as much as I do! Can you believe that I’m in my 40’s, I live in frigid Upstate NY, and I’ve never owned a down comforter until now? I just don’t know what took me so long. Winters here are SO cold. I think I may have been intimidated by the care of down comforters. I thought you couldn’t wash them in the washing machine… and if I can’t wash it in my washing machine, I probably won’t buy it. But, I read that this one was machine washable, so I thought I’d give it a try. The calendar might say it’s Spring, but here in Upstate NY, it’s still winter. And it will likely be winter until the end of May. The nights here are so cold, that we have our bed sheet, and two comforters on our bed. I replaced one comforter with this down comforter. So now we have a sheet, a regular (thin) comforter, and this down comforter. And….HOLY HEAT! Something very rare happened. I woke up in the middle of the night literally sweating from this down comforter! We keep the house pretty cold at night (it’s more comfy to sleep in) AND we have the ceiling fan on above the bed when we sleep (Chris has to have moving air on him at all times…). The furnace usually doesn’t kick on too much overnight, so since it’s so cool in the house, we need both comforters to sleep in comfortably. I had no idea how hot this down comforter would make us. The second night, I removed our other comforter, so we just had the sheet and the down comforter on us while sleeping. I woke up at about 4am, and had to stick my legs out to cool off. Considering that I have to have a heated blanket on me 24/7 when I’m on the couch (even in the middle of summer..) I never thought I’d find a comforter that kept me warm enough. I’m seriously considering getting myself one of these for the couch and saving money on the electric from my heated blanket! Seriously – this down comforter acts like a heated blanket without the electricity. We have the Full/Queen size comforter on our bed and it’s plenty big for our Queen sized bed. It’s so fluffy and lightweight, you would never expect this kind of heat from a comforter. If you have a hard time keeping warm, this is the comforter for you! Right now you can purchase this down comforter on Amazon for just $39! Disclaimer: I received a free product to review in exchange for my honest review. All opinions and comments are my own. I only recommend products I think would be good for my readers.